Interested parties from Karnataka, Kerala. 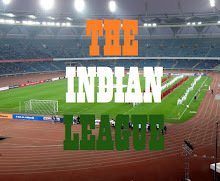 Gujarat and Rajasthan have submitted their bids for direct entry into I-League. All India Football Federation's bid evaluation committee will meet on August 18 to take decision on who will get to field team in 2017/18 edition of I-League. Bengaluru's Ozone FC, Malappuram based Gokulam FC are two of the four bids submitted to AIFF. Ahmedabad and Jodhpur based entity have submitted the other two bids. While Ozone FC have already plied their trade in 2nd Division League, 1-year old Gokulam FC were part of Kerala Premier League last season and made it to the semi finals. Rajasthan and Gujarat has never had renew presentation in I-League in its 10 year history and if allowed by AIFF, can get their 1st club in India's Top Division. The All India Football Federation (AIFF) had invited bids from new clubs in July from various cities across the country including New Delhi, Bengaluru, Ahmedabad, Malappuram, Thiruvananthpuram, Lucknow, Ranchi, Bhopal, Mumbai and Jodhpur. Interestingly, Trivandrum based Kerala Evergreen FC haven't submitted the bid. The Club which was launched last month were keen to play in I-League but were marred by controversy when it was discovered that their club logo was copied by an Irish Clubs logo. I-League will be played in parallel with Indian Super League this season and the winner will get to represent India in AFC Champions League Preliminary Round.